SEELE: A Blockchain for the FuturesteemCreated with Sketch. In my last article on Seele, I gave an introduction on how blockchain technology has advanced over the years. From Bitcoin (Blockchain 1.0) to Ethereum (Blockchain 2.0) which came up with smart contract, to Lightening network (Blockchain 3.0) which has improved and increased transaction speed over the years. I also made talked about how Seele (Blockchain 4.0) is going to reposition blockchain technology with advanced technology. What Seele is all about, how they came about the name, the positives, roadmap, team etc. Don’t let me bore you, read more https://steemit.com/blockchain/@miracle24/seele-innovating-a-new-era-of-blockchain. Now I will be talking about the features of Seele that makes them qualify as Blockchain 4.0. 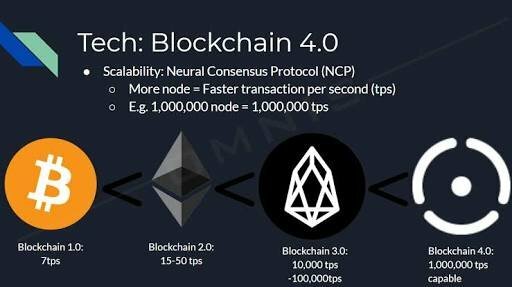 Another of such advanced and innovative blockchain technology is SEELE with the self-acclaimed title Blockchain 4.0. Seele is powered by a proposed upscalable Neutral Consensus algorithm that allows a high throughput concurrency among large scale heterogeneous nodes. This has helped to solve the problem experienced as a result of the high number of nodes which eventually affects the consensus in existing blockchain technology which is contrary to the spirit of collaboration in a large scale among organizations and individuals. Seele’s consensus algorithm is exceptional scalable. That seems ambiguous. I will give a break down so you can understand why Seele is gaining a lot of hype, not just a hype but it is what it is; Blockchain 4.0. 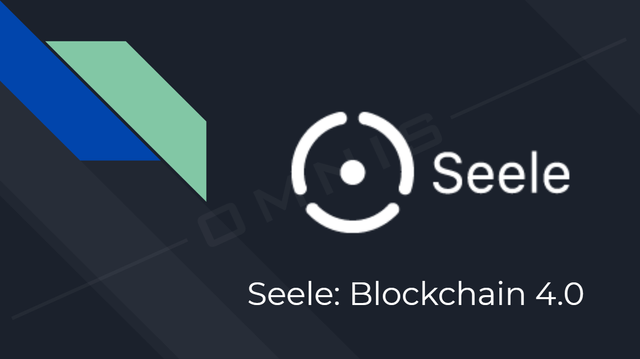 I said it in the conclusion of my previous article, Seele is a really big project. Seele is not about another blockchain, the are building an all-round better blockchain for the future. Let’s talk about areas one after the other. Seele’s network infrastructure is built newly for enhanced security and scalability. By isolating them gives an efficient resource consumption. This is one of their plans since their protocols are not new but based on established protocol, having an efficient resource consumption shouldn’t be a problem for low level network hardware. The solution here is a Forest Blockchain Structure i.e. a meta blockchain as a layer which is above all other blockchains, this builds a forest. Each tree has individual blockchain but they are all linked through a meta chain. In simple terms, the forest is similar Plasma sidechains, each sidechain has a separate blockchain but connected to the parent blockchain via a meta chain – hence the Heterogeneous name. Their heterogeneous forest architecture and new protocol allows for an efficient and simple way by which each individual chains communicate and share value with one another. 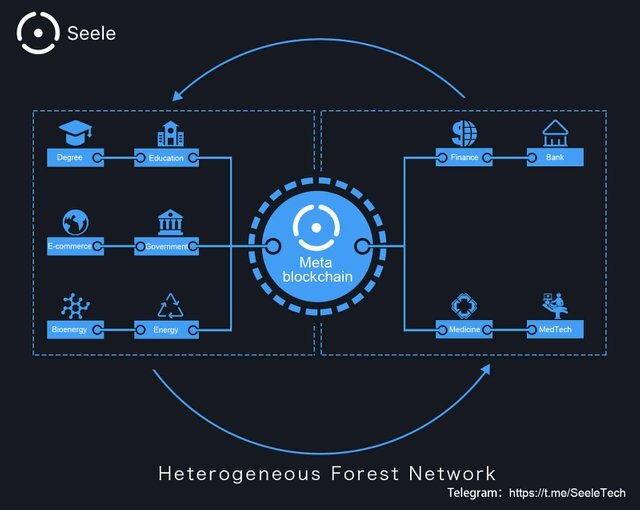 Seele plans to foster communication between different blockchains by inventing a new protocol to connect blockchain to the internet. Here, the meta chain is in charge of registration and location of resources within the network of blockchains (Forest). Seele’s consensus algorithm works asynchronously. Nodes don’t have to agree instantly as they can be heavily parallel to each other. Rather for nodes finding consensus after each block, a consensus is established gradually overtime. The meta chain does not rely on proof of stake nor proof of work. Instead, block builders are selected randomly. This makes nodes more easy to operate and sibyl attack a lot harder. This depends on how best the above can be achieved, if the team can pull this off, then they will be creating a more robust blockchain ecosystem and application. High Efficiency: Seele provides an efficient and a well stable business platform for accuracy and high value transfer. Dynamic expansion: The Seele blockchain will continue to grow and develop to achieve a dynamic planning and adjustment of storage capacity and computing resources. Open source architecture: this allows for customization and portability in fundamental protocols with functional framework. Q2 2018: Transfer of user value in testnet. Q 3 2018: Deployment of value transmission protocol. Opening of the value transmission channel in heterogeneous forest network. Q4 2018: Public network rollout. Q1 2019: trusted exchange and sharing for medical data based on seele (Seele V1). The total token supply is 1 billion and will serve as reward for nodes and as a governance feature which implies that the protocol can be upgraded without forking. Like other tokens, each unit has a value and can stand as a reward for anyone who owns the token. Seele wants to optimize blockchain internet by building a new protocol, wrapped in a meta blockchain and connected to the world. The project is still at the infant stage and still being developed. If the team is sincere with their plans and stick to the goal, then it might be a really big project for the future. 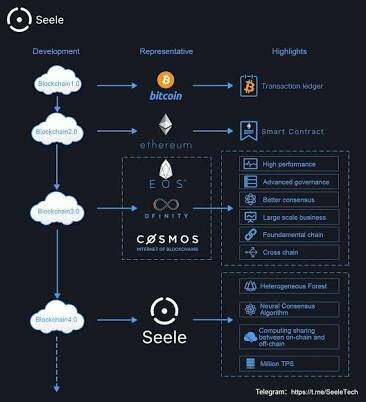 If you are looking for a long term blockchain project to invest in, then Seele might be a very viable option among existing blockchain projects in the crypto world now. Thanks, you have been verified. Seele’s heterogeneous feature will make it stand out among other blockchains. Thanks. I'm glad you found my article interesting. Yes. From their whitepaper, they made it clear they ate are building something for the future that will make a lot of people aware of blockchain even as a technology not the cryptocurrency thing. This is just the beginning brother. Just wait till MVP is released, that when the accomplishment starts that will be the beginning of great things to come. Seele is the answer to the present lapses found on blockchain technology. Seele one of the best blockchain solution provider through internet. Good job you gat there at team of seele dev. I have been seeing a lot on seele lately and I want to commend the team for such hardwork. The project is cool and indeed it can displace existing blockchain with such wonderful features. The marketing is superb. With such energy, Seele token will be in the moon soon. Sure. The end goal is to get a lot of people using the technology just like internet. I think seele will be at the fore front of that. I read about SEELE on a friend's blog and the features are captivating. Where is it trading, I need to load up? Blockchain 4.0 is the real deal, there is no two ways about it. Seele is going to be big. Very big. As the technology gets bigger and more adoption, Seele is going to be part of the biggest blockchain project driving the adoption. Awesome project put up by seele. Eradicating problems plaguing existing blockchain platforms. Not just another blockchain, they are revamping and making everything better. Seele is indeed the blockchain of the future. Can't wait for MVP release.